‘Tis the season for gathering with friends and family, enjoying holiday events in Irving, and celebrating the end of another wonderful year. 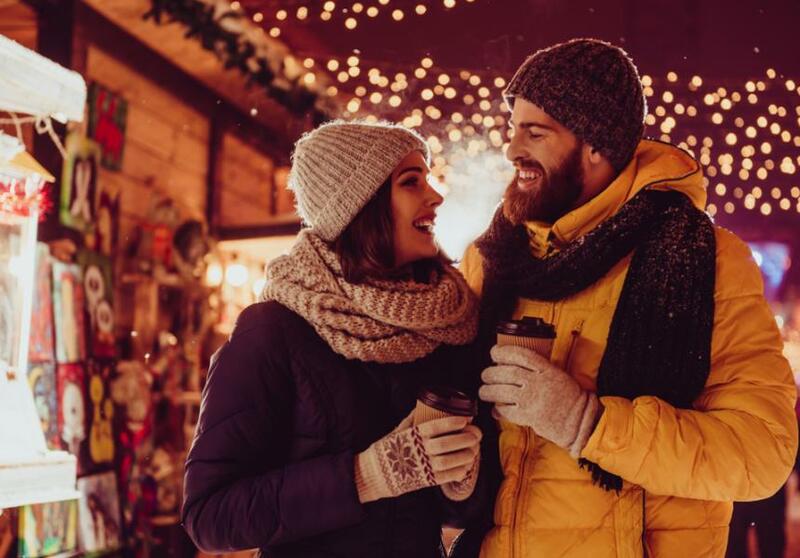 Explore the many exciting things to do in Irving in December below! Spend some adult time at the Valley Ranch Library from 4 - 5:30 pm for a Winterfest Adult Craft, where you can make your own holiday cards to share with friends and family. Admission is free and all materials will be supplied. This event is for adults 18 and older to gather, craft and visit. No childcare is available. Kick off the festivities with an evening at Holiday in the Heritage from 6 - 8:30 pm. Admission is free and there&apos;ll be live music by the New Horizon Band. Santa will be on hand for visits and memorable photos. 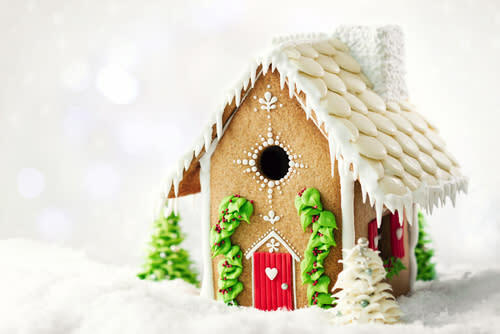 The elves have delivered gingerbread houses, but they need to be decorated. Bring the whole family to help out for just $5 per gingerbread house. Also, carriage rides will be available for $2 per person. Drop by the Heritage Senior Center for an evening of family fun and entertainment. Continuing this long held holiday tradition, Cimarron Park Recreation Center is hosting a Gingerbread House Making party from 7 - 9 pm. This is a free event, but hurry and register by Wednesday, December 5. Bring the family to see Santa at the 7th Annual Blue Christmas Pancake Breakfast. The Irving Police & Fire Blue Christmas provides holiday support to over 400 Irving families every year, and this year you can join their efforts by attending. Enjoy a selection of pancakes, waffles, bacon, sausage, orange juice, milk, water, and coffee before participating in a raffle and silent auction. The event takes place at Plymouth Park Baptist Church, 1714 N. Story Road, and begins at 9 a.m. The cost is $10 for adults and $5 for kids 9 and under. Drop by the East Irving Library from 2:30 - 4:30 pm for the annual Posadas Holiday Celebration with a presentation from author Xavier Garza and a performance by the Ballet Folklorico De Dos Tierras, followed by children&apos;s crafts and refreshments. Admission is free. Attention Muggles and Wizards! Teens in Grades 6-12 are invited to visit the West Irving Library from 5 - 7:30 pm for their fourth annual Harry Potter Yule Ball celebration. Come dressed as your favorite Harry Potter character or in your best dress robes. There&apos;ll be refreshments, Harry Potter themed crafts, and a scavenger hunt throughout the library! Free admission. 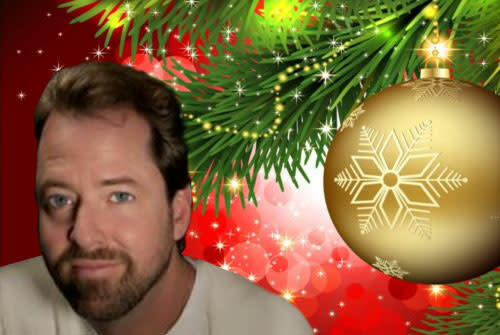 Visit the Irving Arts Center at 7:30 pm for the most endearing and beloved concert of the joyous season. Home for the Holidays will feature the Irving Chorale, baritone Blake Davidson, your favorite Christmas songs, a singalong, a visitor from the North Pole and of course, the Irving Symphony Orchestra! Cost is $30 - $49. Comedian Brian Regan performs at The Pavilion at Toyota Music Factory, bringing his special blend of observational, sarcastic, and self-deprecating humor to the stage. Regan typically refrains from profanity and off-color humor, making his performances family-friendly. Second Sunday Family Funday at the Irving Arts Center offers families the chance to experience art together. Parents and kids can partake in December’s theme of “A Lone Star Christmas” by engaging in festive arts and crafts activities inspired by A Lone Star Christmas: Irving Arts Center’s 26th Annual Holiday Exhibition & Tree Decorating Competition. The free event goes from 1 to 4 p.m.
Join the Irving philanthropic community and give back this year at the annual Irving Salvation Army Super Lunch XXVI at the Irving Convention Center at Las Colinas. The event will begin at 11 am with a silent auction and live music. Then the doors open at 11:45 am for lunch a live auction, and will include Texas First Lady Cecilia Abbott as special guest and keynote speaker. Tickets are $100 and sponsorships are still available. Parking is free. This season is all about watching smiles on little faces, which will be plentiful at the Candy Land Christmas party. Enjoy a morning of delectable fun at the Georgia Farrow Recreation Center from 11 am - noon as children ages 3 - 6 decorate cookies they can eat. Children must be accompanied by an adult. Admission is $5 per child and registration is required by December 13. For some adult crafting time, drop by the Valley Ranch Library from 4 - 5:30 pm for another Winterfest Adult Craft, where you can create your own book page holiday wreaths. Admission is free and all supplies are provided. This event is for adults 18 and older to gather, craft and visit. No childcare is available. Children ages 12 and under are invited to celebrate the winter holiday at the Winter Wonderland Carnival. Drop by the Lee Park Recreation Center from 6:30 - 8:30 pm for an evening of fun and games. Activities will include carnival games, a bounce house and cakewalk. Admission is free, and tickets for the carnival games are $0.25 each or 5 for $1.00. Take the morning to explore the Las Colinas Farmers Market and stock up on fresh produce and local goods. This weekly market features live music and tasty food vendors all in a pleasant outdoor setting. Then drop by the South Irving Library from 2 - 4 pm for a Mary Poppins Christmas. In honor of the theatrical release of Marry Poppins Returns, the Smooth Brew Barber Shop Quartet will perform seasonal favorites as everyone enjoys treats and makes holiday crafts. Free admission. Appropriate for all ages. Enjoy "The Peppermint Twist Marionette Puppet Show" presented by Geppetto&apos;s Theater. It&apos;s from 2:30 - 3:45 pm at the West Irving Library. After the show, all children will enjoy making a free decorated candy cane. Not your typical Nutcracker, Rhythmic Souls Tap Company is doing something different by introducing an all-new and unconventional tap dance rendition of the Nutcracker. “The Nutcracker Untapped” at Irving Arts Center will include audience interaction, live music, and plenty of holiday cheer. 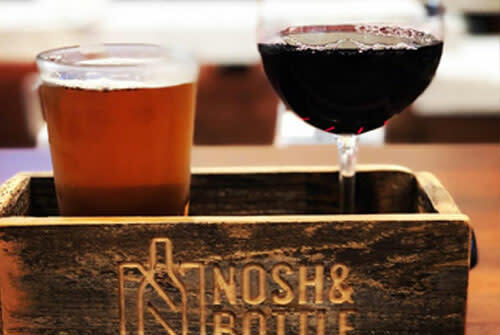 Local favorite Nosh & Bottle Market features $3 Mondays, where you can enjoy $3 house wine and craft beers in a relaxed gourmet deli and market setting. Gather with friends and family to celebrate the holiday season over cheap drinks with quality taste. Learn to make scented bath bombs for yourself or to give as gifts at the East Public Library, from 4:30 - 5:30 pm. Busy Hands/Manos Ocupadas is a free and bilingual program for adults only and will include all materials. Aprenda a hacer bombas de baño perfumadas por usted mismo o como obsequios en la Biblioteca Pública del Este, de 4:30 a 5:30 pm. Busy Hands / Manos Ocupadas es un programa gratuito y bilingüe solo para adultos que incluirá todos los materiales. Learn to make luxurious organic soaps for yourself or to give as gifts at the East Public Library, from 2:30 - 3:30 pm. Health and Beauty/Salud y Belleza is a free and bilingual program for adults only and will include all materials. Aprende a hacer lujosos jabones orgánicos, para ti o para regalar en la Biblioteca Pública del Este, de 4:30 a 5:30 pm. Health and Beauty/Salud y Belleza es un programa gratuito y bilingüe solo para adultos que incluirá todos los materiales. It&apos;s another chance to spend some adult time at the Valley Ranch Library from 4 - 5:30 pm for a Winterfest Adult Craft where you can create snowmen gift bags for the perfect present-ation! Admission is free and all materials will be supplied. This event is for adults 18 and older to gather, craft and visit. No childcare is available. Head to the OUTLAW Taproom at the Four Seasons for Fireside Moët Movie Fridays. The last occurrence of this December series will feature a showing of “Love Actually” under the stars. Beginning at 7 p.m., attendees can enjoy a build-your-own hot chocolate bar and Moët-Hennessy cocktails and champagne during the movie. The movie is free and the event is open to the public. Ring in 2019 in style at the Bollywood New Year&apos;s Eve Gala with Chitrangada Singh, presented by Sunglow Entertainment at The Westin Dallas Fort Worth Airport. The huge bash will take place across two ballrooms—one for families and one for those 21 and up—and will feature a live DJ spinning Bollywood hits, a fashion show, confetti cannons, late-night food options, a complimentary champagne toast, and of course, a live countdown. 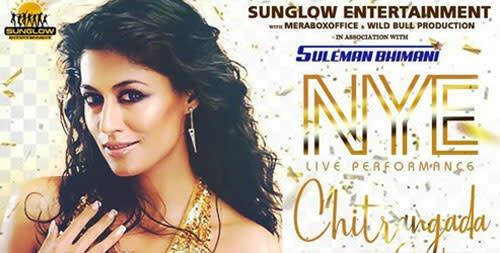 Indian film actress Chitrangada Singh will host the event, so don’t miss this glamorous New Year’s Eve party.